A dissertation writing refers to an extended form of the essay in which the coursework details are discussed in detail. 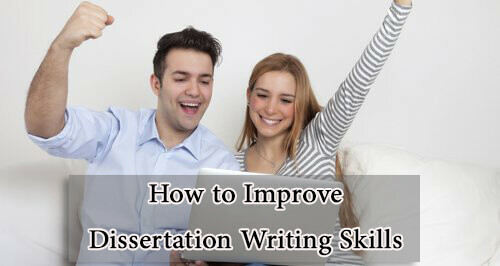 Dissertation Writing is not an easy task it needs lots more attention, planning and time than any other work. It’s the only task where you could not determine that from where to start, where to end and how long dissertation to write. This is the reason that many students find it really hard to accomplish their task and they buy dissertation from online writing services. This format of writing is different from others. This form of writing is organized in such a way that every single rule of writing is applied to it. Dissertations are commonly required as final year projects of universities or for doctoral degrees. It is the main title page of the document. Here the things which should be considered the most are that you have to write main subject (title) of your dissertation along with subtitle. Sub-title of your main subject or title will make your title more rich and clear. This is the section where the whole matter of your content is introduced. This page of dissertation gives the overview of two questions: What we will be discussing?& where is it? Usually, this section gives broad-spectrum of the report in form of bullet points. This is interesting and most difficult part of the whole dissertation. In this chunk of the paper whole story of your writing is summarized in such a way that you could get 25% of paper without studying whole paper. Central discussion frame or main body is the part which covers 60% of your doctoral assignment. In this fragment, the discussion of the whole document has to be done. Here the common and most attractive rule applies; this rule is of making separate chapters for different topics or features of your thesis. This section of your work needs more and more attention than other sections. Here you have to give complete and concrete arguments for your proposed perspectives. The bibliography is the section where all references to all supportive documents have to be placed. Here you have to write about the reference to every single document which has been used during your research work. The supportive document could be of any type whether they are videos, books, writers, professors, research journals, company reports etc., you have to mention everything. This section includes the material in your content which is not necessary to discuss but they helped you in your research work. For example, this information could be inspirations form any book, journal etc.